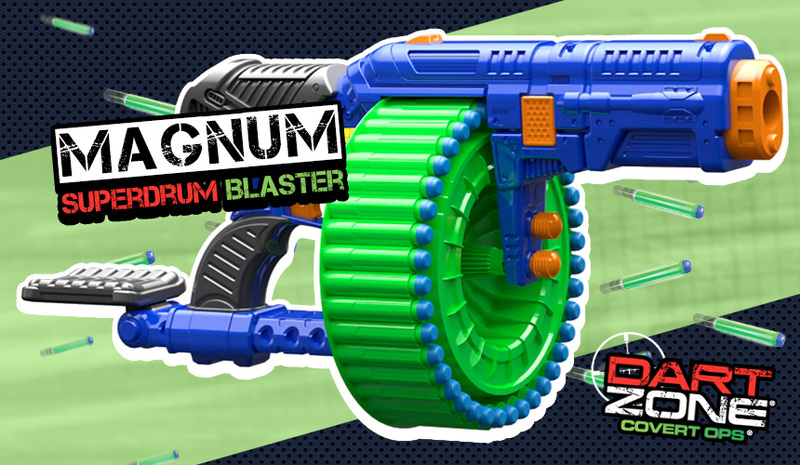 Simultaneous to the reveal of the Dart Zone Enforcer that was just announced, Prime Time Toys has also provided us with a detailed look at their new-for-2016 Dart Zone Magnum Superdrum! Our friends at Prime Time tell us they’re already hard at work on the 2017 Dart Zone models, but we appreciate their willingness to share what they have in store for the rest of 2016 in the meantime, beginning with these two, cool new models. Unlike the full-auto Enforcer, the Magnum is a manually-operated model that relies on an aptly-named “superdrum” versus an ammo belt. We also noticed the compact size includes a novel fore-arm rest to off-set the weight of that massive drum while firing one-handed. And thanks to the auto-advance feature, the drum will rotate without any assistance on the part of the user. 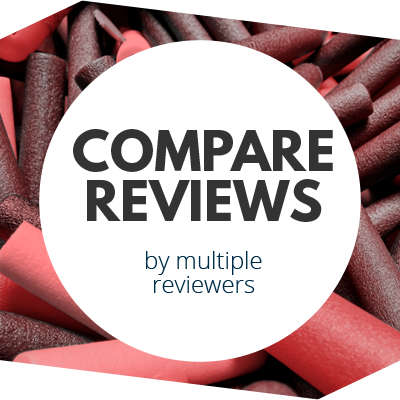 Another convenience is the inclusion of dual firing modes: trigger-fire (single shot), or slam-fire (rapid shot). So, this all sounds interesting on paper, but who is this blaster made for? Well, it’s too big to be called a “pistol” in a traditional sense… yet, it’s not a full-size shotgun-style blaster, either. If anything, it feels like a shortened Buzz Bee Sidewinder (but with the notable addition of a trigger). Still, despite the compact size, we don’t see this being used single-handed–after all, you’ll still need one hand to hold it, and one hand to prime it. Nor do we even see it being the best “primary” option for many users, simple because carrying around extra dart drums is far less practical than carrying clips (though for scavenger-type players, the open, front-loading style of the drum will make it a solid option). This makes the Dart Zone Magnum Superdrum something of an “inbetweener”… not quite enough of any one thing to make it an obvious choice, but enough of several things to make it interesting. If YOU find the Dart Zone Magnum Superdrum interesting, you’ll be happy to know it’s being planned for a wide release this fall, and will be sold at a suggested retail price of $19.99. For that price you get the blaster, the forearm extension, the huge drum, and 40 Super Darts. 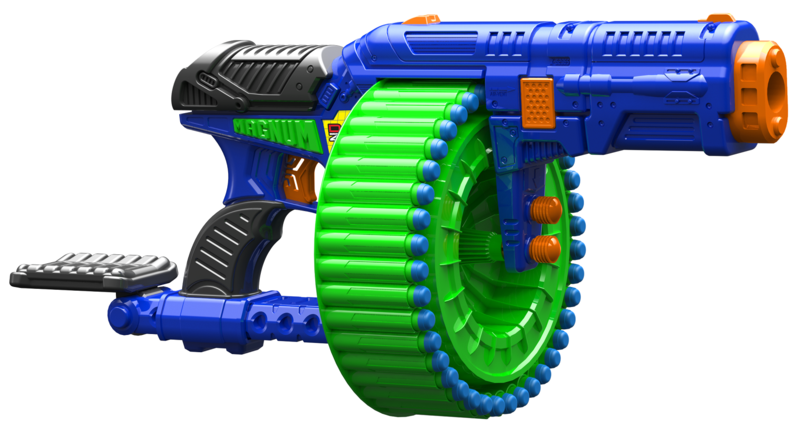 And just like we announced with the Enforcer, fans will be happy to note the Magnum Superdrum will use Dart Zone’s newly lengthened Super Darts, making it cross-compatible with typical Nerf Elite darts (and claimed to shoot up to 80 feet when launched from the Magnum). 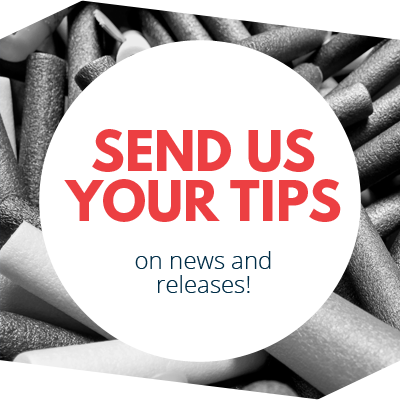 Tell us what you think of the Dart Zone Magnum Superdrum in the comments section below, and stay tuned for all the latest Dart Zone product announcements! This entry was posted in Dart Blasters, News/Updates and tagged blaster, dart zone on June 7, 2016 by PMindemann.